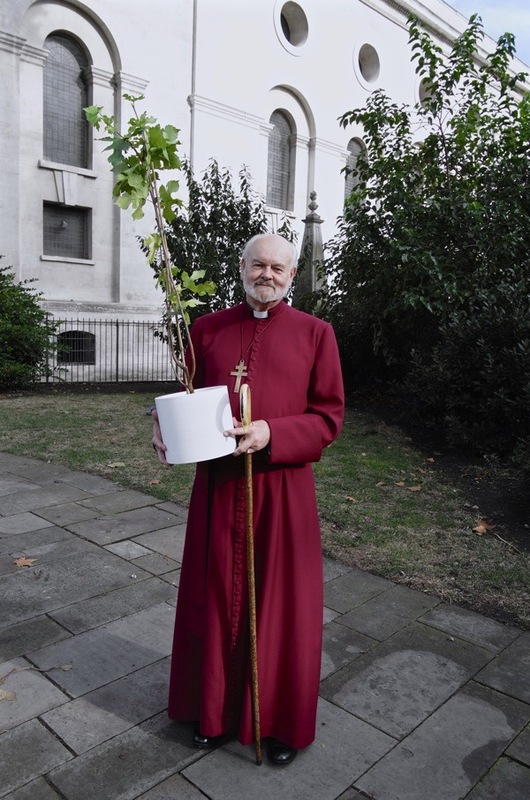 Yesterday, Richard Chartres, Bishop of London presented Christ Church, Spitalfields, with a Mulberry tree to plant in the churchyard in memory of the twenty-thousand Huguenot refugees that came here in the seventeenth century. It was both the eve of the anniversary of the Revocation of the Edict of Nantes on 18th October 1685, which became the catalyst for the mass migration of French Protestants, and the day upon which the United Kingdom accepted the first child refugees from the camp in Calais. 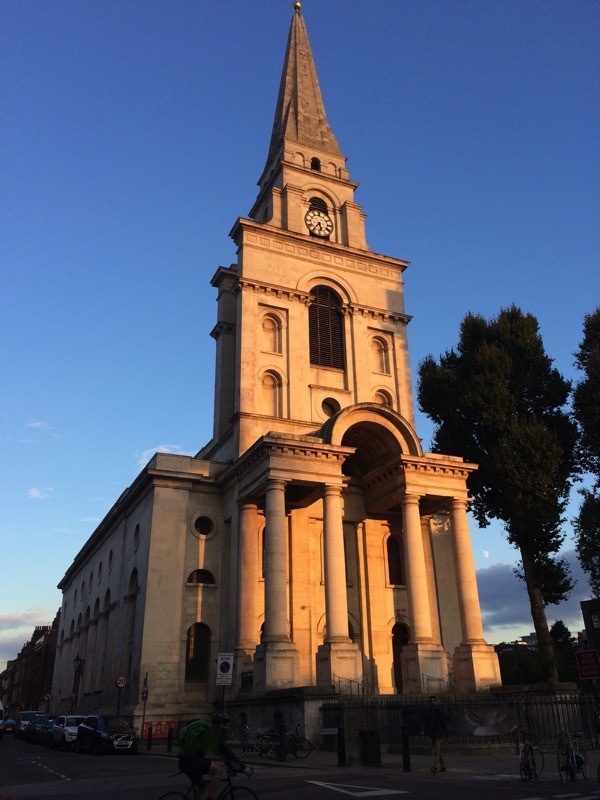 Of Huguenot descent himself, the Bishop was far from unaware of the significance of the timing of his action, describing the Mulberry tree as emblematic of the prosperity brought by migrants – as demonstrated by the affluence of the former Huguenot silk industry in Spitalfields. 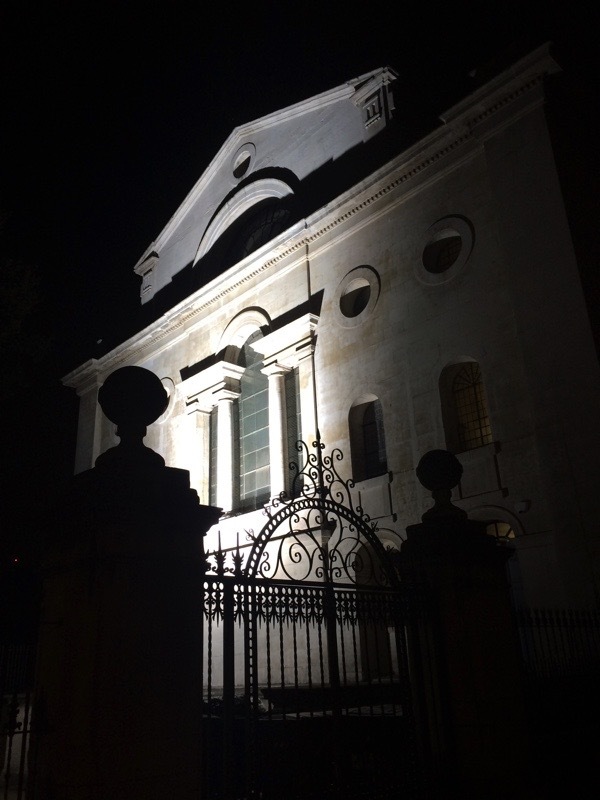 The Mulberry sapling itself was a scion of seventeenth century tree planted as one of London’s only functioning Mulberry plantation in Chelsea, offering homegrown sustenance to silk worms. Bringing over the children with relatives to the UK is pitifully long overdue. There are still hundreds of children in Calais. The British government has already been taken to court over their refusal to resettle children refugees – the govt lost and they appealed the decision, fighting hard to refuse refuge to these people. The behaviour of our politicians and mass media is utterly shameful. Good for the Bishop, every little gesture which helps spread a message of welcome and respect is important. I used to live near a park with a mulberry tree and loved going to pick and eat them when ripe. Sadly visiting a park when on holiday on Stratford on Avon came across a most wonderful mulberry tree with its crop trampled into the ground. I found a few ripe ones to eat and share with grandchildren, whilst astonished onlookers kept asking me if I was sure they were safe to eat. My mouth waters as I type. We had a big Mulberry tree in the playground at Morpeth street school (E.2) in the 40s’, I wonder if it is still there. There was a very large and old Mulberry tree in the garden of 22 Upper Mall W6 near the Doves pub when I stayed there in 1975. The house had been a convent and was waiting development by a housing association.